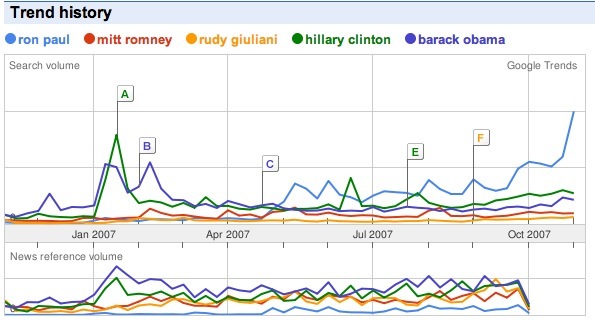 This is great news, Ron Paul continues to double almost every month in the polls. In the latest New Hampshire primary poll from CBS/New York Times, he is now 4th with 8% of the vote. And Ron Paul is really busting out on the internet. He is now searched for more than 3x his nearest competitor in either party. People want freedom.